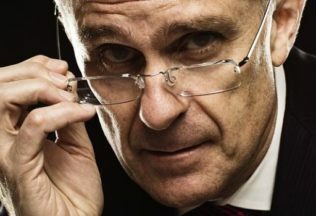 The chairman of the Australian Competition and Consumer Commission (ACCC), Rod Sims, has warned Australia’s major supermarket groups this week of a tougher enforcement approach against their breaches of the Food and Grocery Code (FGC). Sims also identified which aspects of the FGC were being breached. Sims was addressing the Leaders Forum of the Australian Food and Grocery Council which was held in Canberra this week. Although the FGC is a voluntary code, its 3 signatories, Aldi, Coles and Woolworths, have signed up and committed to its enforcement through the ACCC. In addition, Metcash committed in March 2015 to adopt all elements of the coded for a 12-month trial, but has not yet signed the Code. The FGC came into effect in March 2015 and transitional arrangements were allowed to the supermarkets until 1 July 2016.Meanwhile the ACCC has been providing education and training for suppliers. When a signatory delists a supplier, it should be for genuine commercial reasons, the supplier should receive reasonable written notice in order to deal with stock levels that may have been maintained by the supplier, and the supplier should be informed of their right to a review of the decision by a senior buyer. Requests by the supermarkets for payment by the suppliers to make up shortfalls in supermarket profits. Requests by the supermarkets for extended payment terms. Sims also warned suppliers that they cannot make misleading health claims for their products and cited the successful prosecution of Reckitt Benkisser (Australia) Pty Ltd for its misleading representations for Nurofen Pain Specific products. Misleading health claims are always a serious issue but especially so for products marketed for children. During the past 12 months, infringement notices have been issued against Unilever’s Rainbow Paddle Pops and The Smith’s Snackfood Company’s Sakata Paws Pizza Supreme Rice Snacks. Arnott’s Biscuits Ltd paid penalties and provided a court-enforceable undertaking following the issue of 5 infringement notices for misleading representations on the packaging of Shapes Light and Crispy products. A new Maggie Beer branded ice cream is now available in Australian supermarkets.